May be used with oxygen for o2 enriched mouth-to-mask rescue breathing, spontaneous breathing victims and/oras an alternative to standard oxygen inhalation mask. 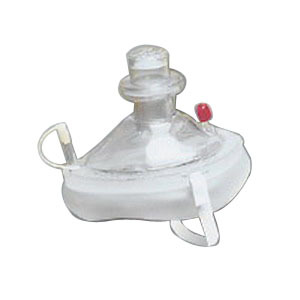 The CPR MICROMASK-O2 may be used with supplemental oxygen for enriched mouth-to-mask rescue breathing, spontaneous breathing victims, and/or as an alternative to a standard oxygen inhalation mask. The clear dome allows you to check the victims lip color and observe for secretions. The disposable valve offers low resistance for maximum air flow. The reusable dome is ideal for use in CPR training. Fully assembled, the CPR MICROMASK-O2 is conveniently packaged in a blue zippered belt pouch with one pair of disposable nitrile gloves.